6 mil PVC perforated display window film for solvent printing. Designed for vehicle window wraps. 1 year plus durability. White film with black adhesive backing. 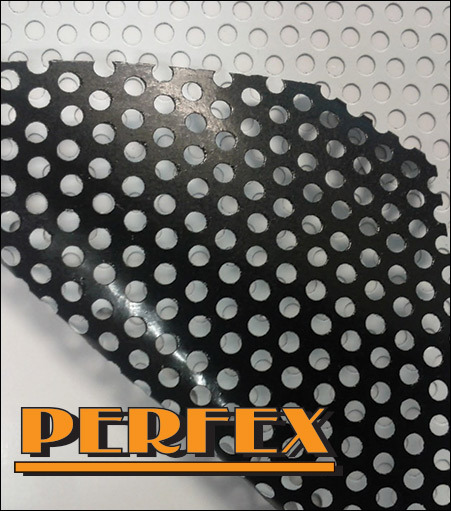 50/50 perforation pattern / 1.5 mm hole.